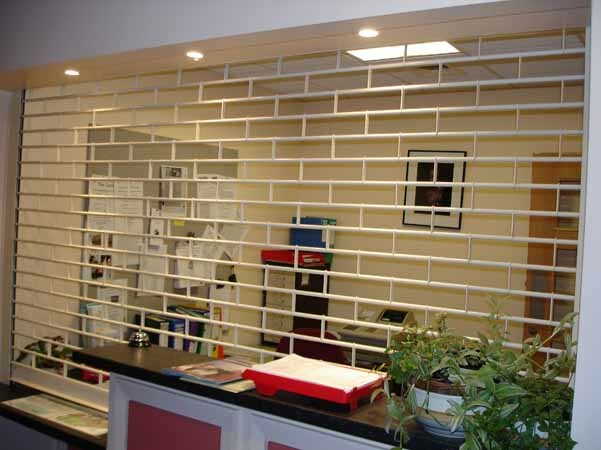 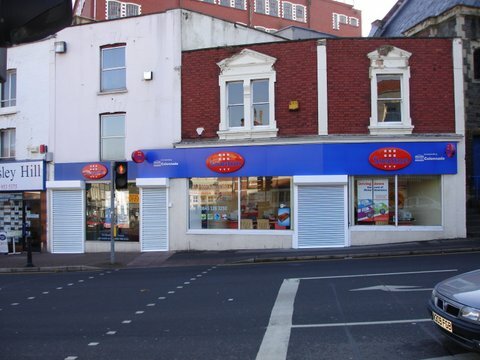 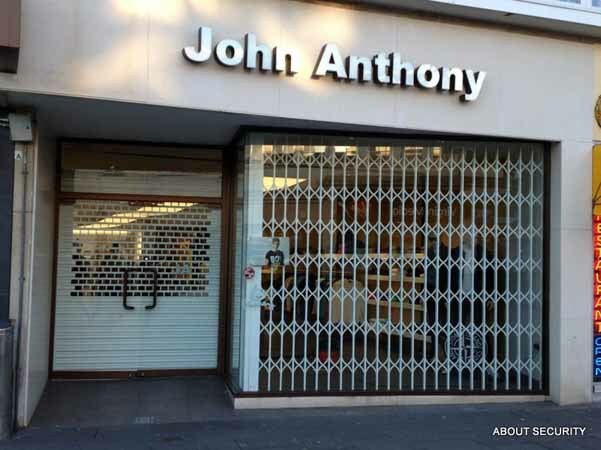 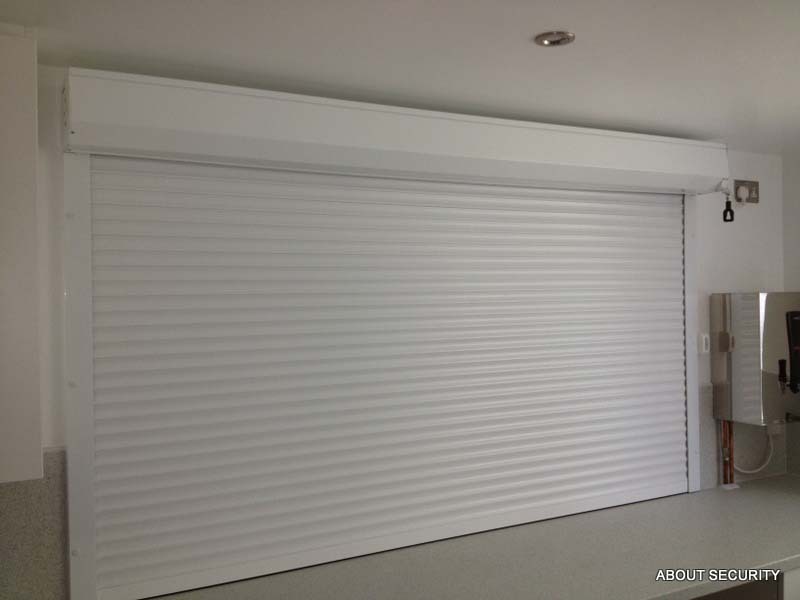 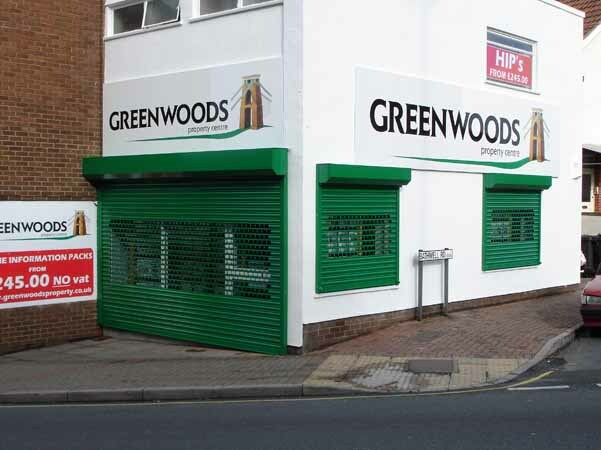 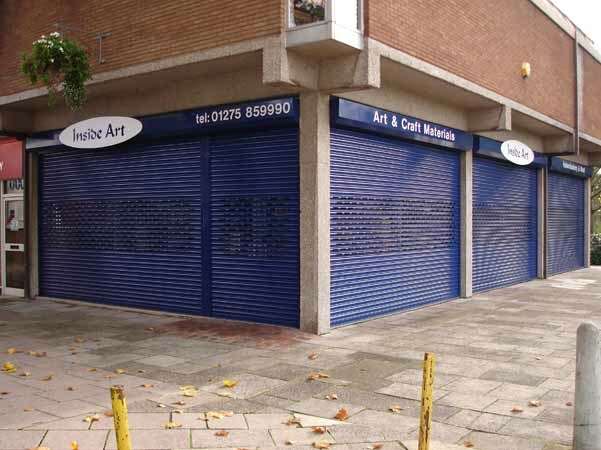 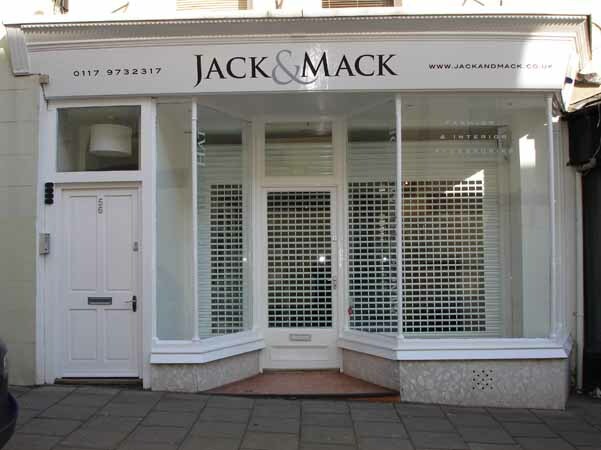 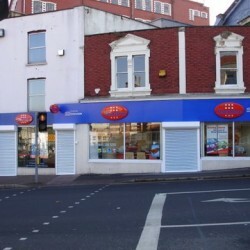 About Security manufacture & install security roller shutters in Bristol and across the South West, for both the domestic & commercial markets in a full range of materials, colours and finishes at competitive prices to suit all applications and budgets. 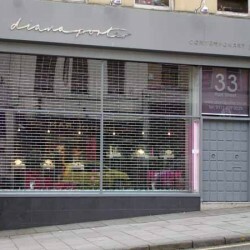 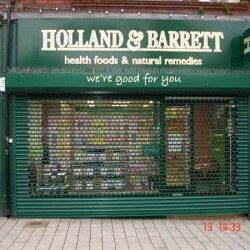 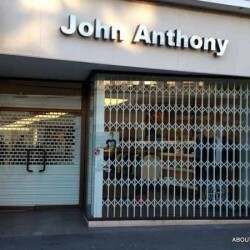 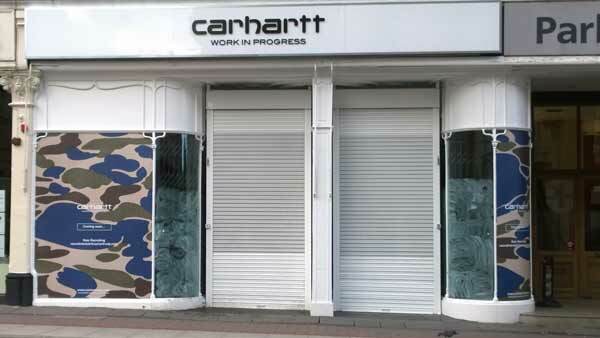 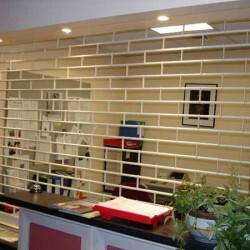 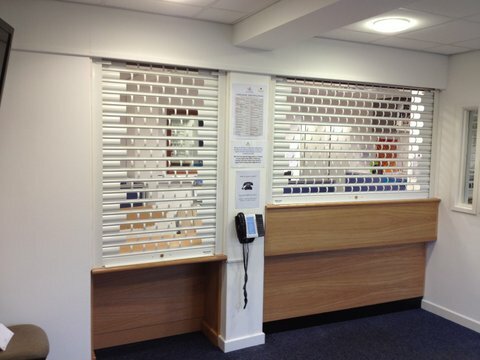 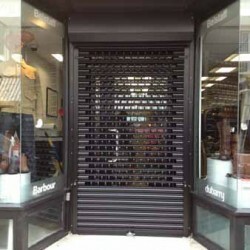 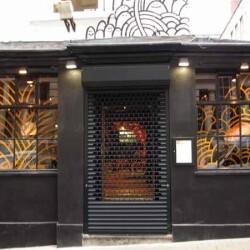 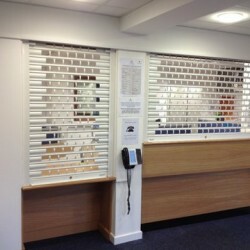 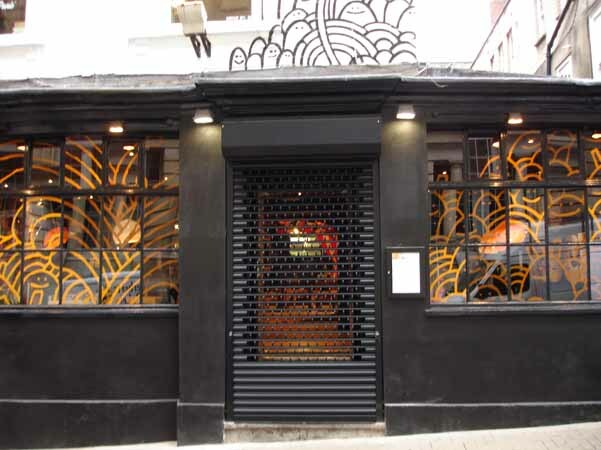 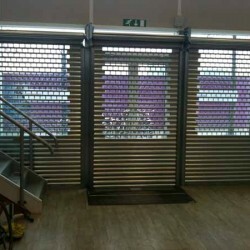 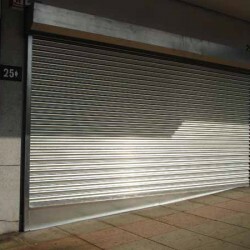 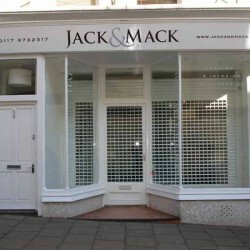 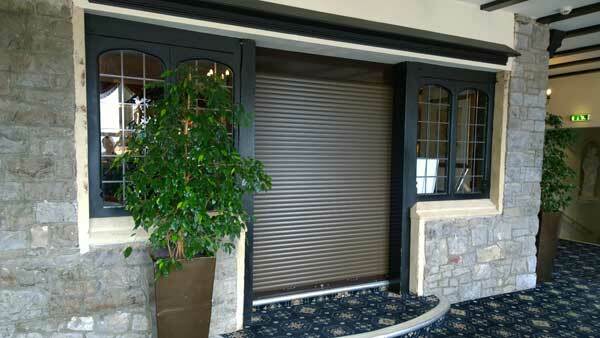 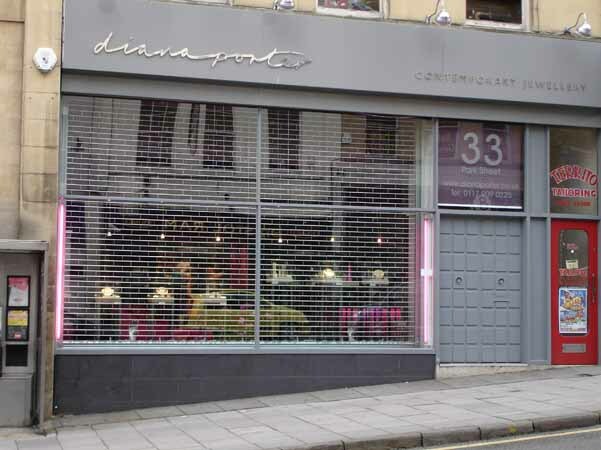 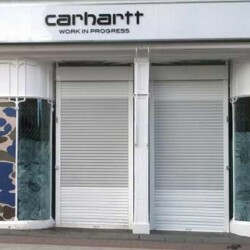 Although a high proportion of roller shutters in Bristol are chosen with solid steel curtains especially for commercial applications, we offer other laths such as perforated, punched and also punched and glazed etc with optional finishes available in either RAL or BS polyester powder coat paint colours or a range of Plastisol coated finishes are also available. 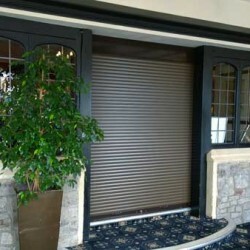 Operation of the shutters can be either manual or electrical with the electric operation being widely used on larger shutters. 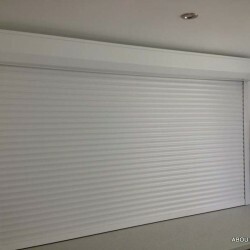 Electrical shutters may be controlled individually from a single key or rocker switch and multiple shutters may also be controlled in groups through relays from single switch . 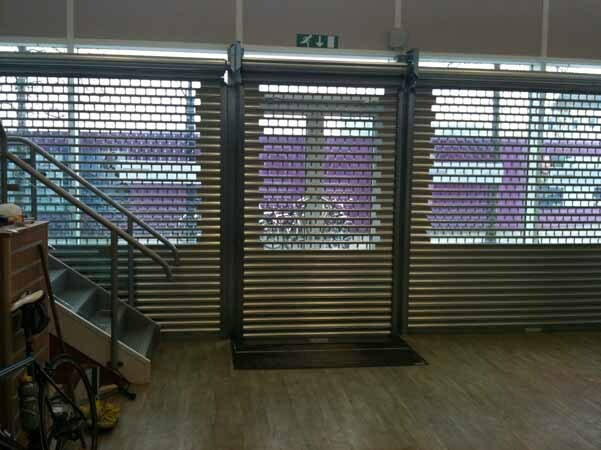 Our roller shutters are manufactured from stock materials so there are no standard sizes to work around, shutters are all custom made to individual sizes. 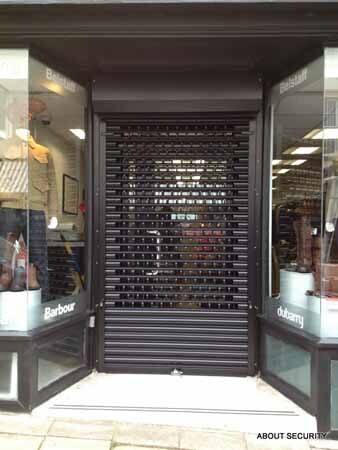 Shutters can be fitted internally and externally, planted onto the face of the structure or reveal fixed between walls or structures, we also provide built in roller shutters that can be “built in” and the top boxes concealed especially if considered at the early stages of construction. 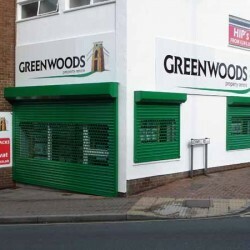 We offer a free estimate service and will be please to provide information on the best product from our range to suit the customers application and budget. 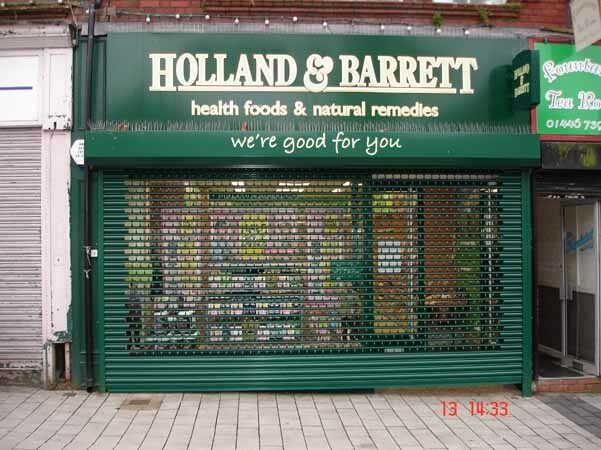 It makes sense to keep shutters in a good state of repair, maintaining them will achieve the best possible lifespan from the product and keep them working as efficiently and reliably as possible. 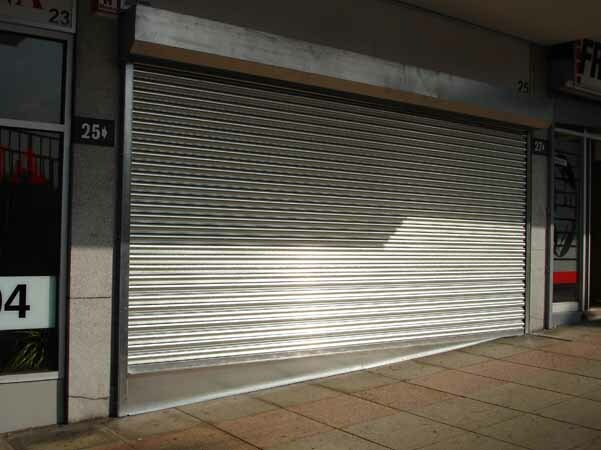 A full range of motors and spare parts are stocked to allow us to carry out repairs to shutters quickly getting them operating with as little disruption to the customer as possible. 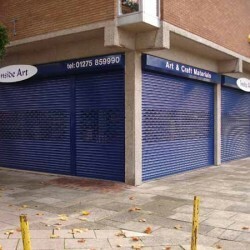 Most repairs are carried out at the point of call out ensuring a speedy service and quick completion of the repair for your roller shutters (Bristol and surrounding area).